​Yannick Carrasco has revealed he left ​Atletico Madrid for the Chinese Super League to help his fight for a World Cup spot. The Belgium international, who recorded just 45 minutes during the Red Devils' 4-0 win over Suadi Arabia on Tuesday, turned his back on the LaLiga giants in favour of joining Dalian Yifang in a fee worth around £27m in February. The 24-year-old enjoyed a bright start during his time at Atleti, netting 10 goals during his debut campaign with the club. 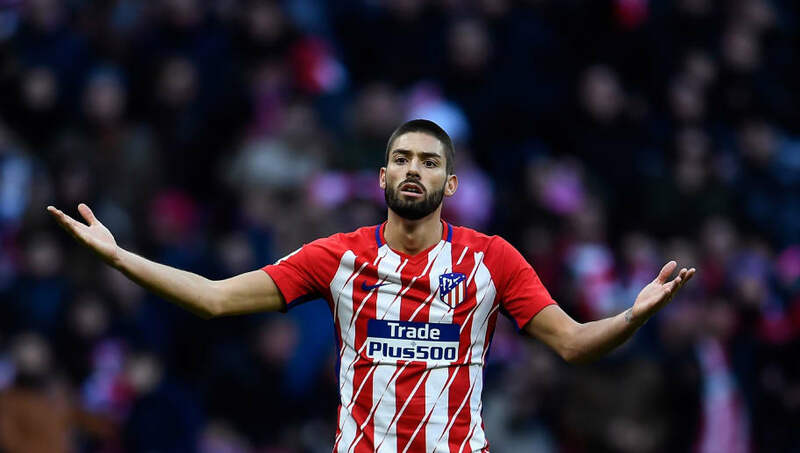 However, as has been the case with a number of players this term, Diego Simeone was reluctant to place his faith in Carrasco this season, with the majority of his showings coming from the substitutes' bench. The monetary benefits of a move to the Far East are well known; however, despite the financial gains, the Belgian insisted to ​Goal his decision was with summer tournament football in mind, and he has learned to accept that either choice - to remain in Madrid or go - would have been met with criticism. "There is always criticism in the world of football about if I had stayed or not", he said. "They are complicated decisions that have to be made in life. China is not exactly a league we know, but it's true that at Atletico I did not have too many minutes to play. "For me, it was important to have momentum ahead of the World Cup that comes this summer." Although Roberto Martinez opted for Carrasco from the outset during their second friendly of the international break, his half-time axing could be insightful as to where the national coach sees the Dalian Yifang man in the team's pecking order.